The Dayton Project was a research and development project that was part of the larger Manhattan Project to build the first atomic bombs. Work took place at several sites in and around Dayton, Ohio. Those working on the project were ultimately responsible for creating the polonium-based modulated neutron initiators which were used to begin the chain reactions in the atomic bombs. The Dayton Project ran from 1943 to 1949, when Mound Laboratories were completed and the work moved there. The Dayton Project began in 1943 when Monsanto's Charles Allen Thomas was recruited by the Manhattan Project in the role of coordinating the plutonium purification and production work being carried out at various sites. Scientists at the Los Alamos Laboratory calculated that a plutonium bomb would require an internal neutron initiator. The best-known neutron sources used radioactive polonium and beryllium, so Thomas undertook to produce polonium at Monsanto's laboratories in Dayton, Ohio. The Dayton Project developed techniques for extracting polonium-210 from the lead dioxide ore in which it occurs naturally, and from bismuth targets that had been bombarded by neutrons in a nuclear reactor. 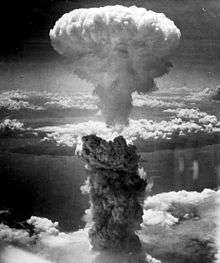 Ultimately, polonium-based neutron initiators were used in both the gun-type Little Boy and the implosion-type Fat Man used in the bombing of Hiroshima and Nagasaki respectively. The fact that polonium was used as an initiator was classified until the 1960s, but George Koval, a technician with the Manhattan Project's Special Engineering Detachment, penetrated the Dayton Project as a spy for the Soviet Union. In December 1942, during World War II, Charles Allen Thomas, a chemist and director of research at Monsanto in St. Louis, joined the National Defense Research Committee (NDRC) as the deputy chief of its Division 8, which was responsible for propellants, explosives and the like. Early in 1943, he travelled to the East with Richard Tolman, a member of the NDRC, and James B. Conant, the president of Harvard University and the chairman of the NDRC, to witness a demonstration of a new underwater explosive. Conant and Tolman took the opportunity to quietly investigate Thomas's background. He was then invited to a meeting in Washington D.C., with Brigadier General Leslie R. Groves, Jr., the director of the wartime Manhattan Project responsible for building an atomic bomb. When he got there, Thomas found Conant was also present. Groves and Conant were hoping to harness Thomas's industrial expertise for the benefit of the project. They offered him a post as a deputy to Robert Oppenheimer, the director of the Los Alamos Laboratory in New Mexico, but he did not wish to move his family or give up his responsibilities at Monsanto. Instead he accepted the role of coordinating the plutonium purification and production work being carried out at Los Alamos, the Metallurgical Laboratory in Chicago, Radiation laboratory in Berkeley, and Ames Laboratory in Iowa. Chemistry and metallurgy at Los Alamos would be led by the youthful Joseph W. Kennedy. At Los Alamos, physicist Robert Serber proposed that instead of relying on spontaneous fission, the chain reaction inside the atomic bomb should be triggered by a neutron initiator. The best-known neutron sources were radium-beryllium and polonium-beryllium. The latter was chosen as it had a 140-day half life, which made it intense enough to be useful but not long-lived enough to be stockpiled. Thomas took charge of the development of techniques to industrially refine polonium for use with beryllium in the "urchin" initiators. This effort became the Dayton Project. Thomas brought in key personnel from Monsanto's Thomas and Hochwalt Laboratories in Dayton, Ohio, including Caroll Hochwalt, James Lum and Nicholas Samaras. Thomas became Director of the Dayton Project, with Hochwalt as Assistant Project Director and Lum as Laboratory Director. They decided that about twelve chemists would be required, and Lum set about recruiting professors, graduate students and industrial chemists from universities and laboratories in the area. The first of these recruits commenced in August 1943, but few had any experience with radiochemistry. Numbers increased from 46 full-time employees at the end of 1943 to 101 at the end of 1944, 201 at the end of 1945, and 334 at the end of 1946, including members of the Army's Special Engineer Detachment. Office space was initially found in the Monsanto offices at 1515 Nicholas Rd, which became known as Unit I. A laboratory site was found at 1601 W. First St. that had originally been constructed to house the Bonebrake Seminary. It was a three storey brick building built in 1879, and owned by the Dayton Board of Education, which used it as a warehouse. Monsanto leased the site on 15 October 1943, and began converting it into a laboratory known as Unit III. New heating and lighting was installed, windows were replaced, new flooring was laid, and some rooms were re-plastered. A pair of guard houses known as buildings J and K were added, as was a chemical storage shed known as building F, and a wire fence. Laboratory activities were transferred there from Unit I on 25 September. In May 1945, five additional temporary buildings were constructed on land leased from the Board of Education that housed offices, a cafeteria, locker rooms, a physics laboratory and a laundry. A new guardhouse was also built. To this was added two portable buildings in 1946. By 1944, space was running short, and Monsanto began negotiations to acquire the Runnymede Playhouse in the wealthy residential Dayton suburb of Oakwood. Built in 1927, the Playhouse was a leisure facility that included an outdoor swimming pool, a ballroom, a squash court, a tennis court with a cork floor and a stage for community theater. It had showers with Italian marble and a one and a half storey garage. The estate was owned by the Talbott Realty Company, which was controlled by Thomas's wife's family. The Talbotts were among the heirs of the Delco company, which was by then a part of General Motors. This fortune had come in large part from profits made during World War I on airplanes that never flew. The Oakwood City Council wanted the Playhouse as a community center. Thomas appeared before the council and assured them that it would not be damaged, although he could not disclose what he was intending to use it for. When Talbott Realty proved reluctant to sell, the United States Army Corps of Engineers condemned the property, which became Unit IV on 15 February 1944. Remodeling began on 17 March and the Production Group began moving in on 1 June. Three guard houses were added, along with a wire fence. Changes to the site were minimized in order to make it easier to restore later. Because it was located in residential area, efforts were also made to minimize noise and other disruptions. In May 1945, Monsanto rented three floors of a warehouse at 601 East Third Street from General Electric. Initially it was used to receive and store equipment used by the Project. Later the fourth floor was used as office space, and a laboratory was established on the fifth floor where studies were carried out on the effects of polonium on laboratory animals. Analysis of bioassay samples was carried out here so as to minimize the danger of polonium contamination of the samples. Polonium also occurs naturally in various ores, and the lead dioxide residues from the refinery in Port Hope, Ontario, left over after the removal of uranium and radium from the natural ore were known to contain polonium. It was estimated that this lead dioxide contained 0.2 to 0.3 milligrams (0.0031 to 0.0046 gr) of polonium per ton. A curie of polonium weighs 0.222473 milligrams (0.00343328 gr). The first 7,250 pounds (3,290 kg) of radioactive lead dioxide were delivered to the Dayton Project on 10 November 1943. The first 500-pound (230 kg) batch was processed by 8 December, which made 30 microcuries (1.1 MBq) of polonium available for experiments a week later. The polonium could then be deposited on copper or nickel sheets. This required large-scale glass lined equipment not available in Dayton, but available at the Monsanto B plant in Monsanto, Illinois. After small-scale tests at Unit III revealed that the process was practical, some three tons of lead dioxide were sent to the B plant, and 2.50 curies (93 GBq) were recovered. Getting the polonium off the copper and nickel sheets proved more problematic. A second method attempted was a kiln process. The idea was to simply roast the lead dioxide and vaporize the polonium. The problem was that lead dioxide slagged at 700 °C (1,292 °F), which was too low for the process to work. So the Project tried using lead orthophosphate, which slagged at 900 °C (1,650 °F). This was made by mixing the lead dioxide with phosphoric acid. Experiments showed that the polonium vaporized well when the lead orthophosphate was heated to 750 °C (1,380 °F) for four hours. Unfortunately, the process then ran into problems with dust and other foreign matter, and presented problems of contamination of the personnel and equipment involved. This proved to be the best way to separate the polonium from the lead dioxide, although there were problems with the precipitation of various contaminants, including iron and aluminum. Although about 35 tons of lead dioxide were treated with nitric acid, and about 40 curies (1.5 TBq) of polonium were produced, the process did not proceed beyond the pilot stage because a better source of polonium became available. A metric ton of bismuth irradiated in the Manhattan Project's X-10 Graphite Reactor in Oak Ridge, Tennessee, contained 32 to 83 curies (1.2 to 3.1 TBq) of polonium, a vast improvement over the yields from Port Hope's lead dioxide. 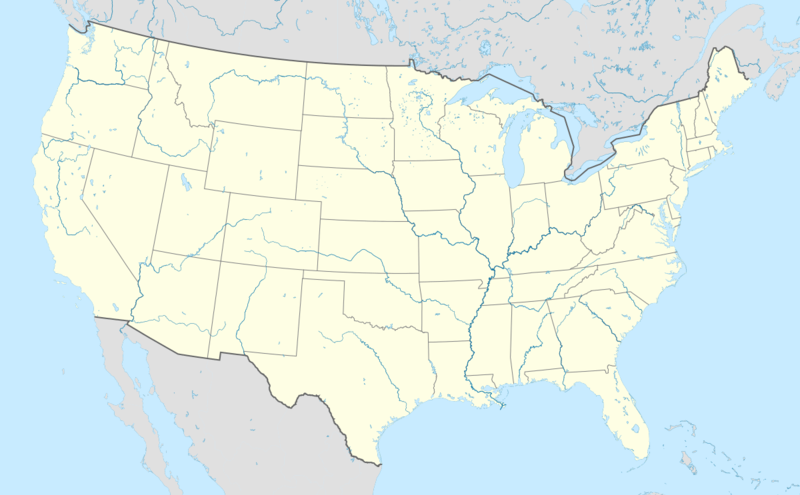 Starting in June 1945, the Dayton Project began receiving bismuth irradiated in the more powerful reactors at the Hanford Site in Washington, which now became the major source of supply, and by the end of 1946 Hanford was shipping material that contained up to 13,200 curies (0.49 PBq) per metric ton of bismuth. This was much more dangerous to handle, but by then safe handling procedures had been developed. Bismuth was purchased from the American Smelting and Refining Company of the highest purity that it could produce. It was sent to Hanford, where it was put in aluminum cans, and placed inside a reactor for 100 days. The canned slugs then shipped to Unit IV, where they were bathed in hydrochloric acid, which dissolved the aluminum. This formed an aluminum chloride solution that was disposed of, as it was highly radioactive due to iron and copper in the aluminum alloy. The bismuth slugs were then dissolved in aqua regia. This was too weak for electroplating the polonium, so the nitric acid was removed, and then the polonium deposited on bismuth by adding powdered bismuth. This resulted in a 100-1 concentration. This could then be repeated by dissolving in aqua regia again to achieve a 1000-1 concentration. This was again dissolved, and the polonium electroplated on platinum foils. The main problem with the process was that it required glass-lined containers due to the aqua regia, and mechanisms for safe handling of the radioactive material. The Dayton Project explored alternative purification methods that were found to be workable, but less efficient or safe. The first consignment of polonium left for Los Alamos on 15 March 1944 in a lead-lined suitcase carried by a military courier. Regular shipments were made thereafter. Initiator testing at Los Alamos required more polonium than anticipated, and in December 1944, Oppenheimer was forced to ask Thomas if he could ship 20 curies (0.74 TBq) per month. The Dayton Project was able to do so. In February 1945, Thomas agreed to increase shipments to 100 curies (3.7 TBq) per month by June, and 500 per month by December. Dayton Project employees were not allowed to eat or smoke in processing areas, and had to scrub their hands before leaving these areas. They also had to shower at the end of each day's work, and were subjected to weekly urine tests. Employees with elevated levels of polonium were not allowed in the processing areas. Working with polonium without spreading contamination proved to be almost impossible. Fortunately, it was not a bone-seeker like radium or plutonium, and was readily excreted in urine. Detection methods had already been developed, making it easy to track. One employee at Unit IV contaminated her hair. Combined with a practice of putting bobby pins in her mouth, this resulted in her having the highest urine count at the site. Zhorzh Abramovich "George" Koval was drafted into the US Army in 1943, and was inducted into the Manhattan Project's Special Engineering Detachment. He was initially assigned to Oak Ridge, where his job as a health physics officer gave him access to much of the plant. He began passing secrets relating to the production of polonium at Oak Ridge to his GRU handler codenamed "Clyde". In 1945 Koval was transferred to Dayton. Again his job as a health physics officer gave him wide access to the secret installation. In 2007 Russian President Vladimir Putin posthumously awarded Koval a gold star making him a hero of the Russian Federation for his work as the GRU spy "Delmar". Russian officials stated that the initiator for their Joe-1 bomb had been "prepared to the recipe provided by Delmar". The fact that polonium was used as an initiator remained classified until the 1960s. After Leonard Schiff calculated that theoretically an initiator could improve the efficiency of a gun-type nuclear weapon, Oppenheimer gave approval on 15 March 1945 for initiators to be included in the Little Boy design. Testing was carried out to ensure that the initiators were rugged enough to handle being transported in an airplane and being accidentally dropped. Eventually, about forty initiators were despatched to Tinian, where four were inserted into the bomb that was used in the bombing of Hiroshima. The total cost of the Dayton Project up to the end of 1946 was $3,666,507 ($44.6 million in today's dollars). By 1945, the Dayton Project has assumed such importance that the Manhattan Project decided to make it into a permanent facility. 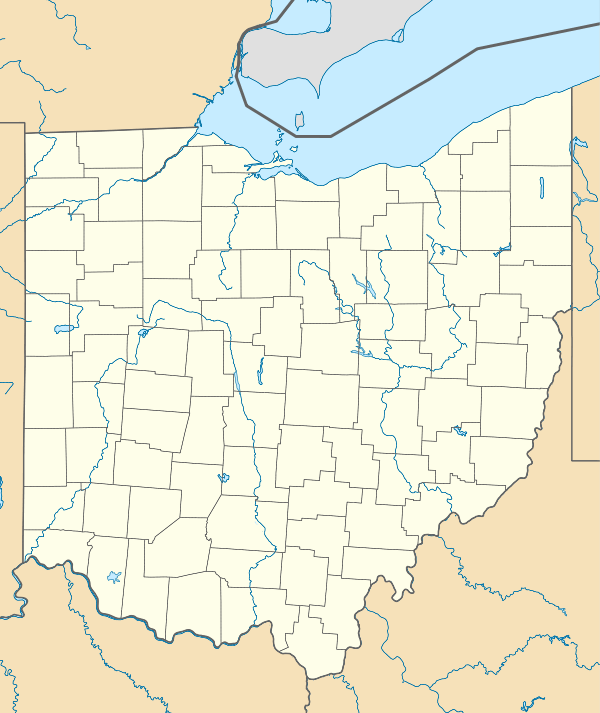 The original intention was to move operations to Oak Ridge, but it was decided that a site near Dayton was preferable. Few of the scientific and technical staff wanted to move to Tennessee, and there were concerns about the dangers of polonium contamination at a plutonium processing site. A search for a suitable site began in early 1946, and one was found in Miamisburg, Ohio, about 12 miles (19 km) from Dayton. The 178-acre (72 ha) site was adjacent to a state park containing a large prehistoric Indian burial mound, which gave the Mound Laboratories its name. Monsanto commenced construction of what was referred to as Unit V in May 1946, using the firm of Giffels and Vallet of Detroit as architects, while the plant was built by the Maxon Construction of Dayton. The design called for an underground complex that could withstand a direct hit from a 2,000 pounds (910 kg) bomb, with protection against biological and chemical weapons, at a cost of $17,900,000. Responsibility for nuclear weapons production was transferred from the Manhattan Project to the Atomic Energy Commission in 1947, but work continued on the Mound Laboratories. The first building was completed in May 1948, and polonium processing commenced at the Mound Laboratories in February 1949. Altogether, 14 major buildings were constructed with a total floor space of 366,000 square feet (34,000 m2) at a cost of $25.5 million. Due to fear of attack or sabotage, the former Scioto Laboratory Complex in Marion, Ohio, was acquired by the Atomic Energy Commission in 1948. It was maintained as a cold standby site until 1953, when it was decided that it was no longer needed, and was closed. Unit I continued to be used by Monsanto as an administrative facility until the 1980s, when it was demolished, and the land was sold in 1992. Unit III, the former Bonebrake Theological Seminary, was decontaminated in 1950 and returned to the Dayton Board of Education. The original seminary building was subsequently demolished, but several structures remain from the Dayton Project. The site was listed on the National Register of Historical Places on 10 May 2006. Unit IV, the former Runnymede Playhouse, was deemed too contaminated, so the building was demolished in February 1950. Even the cobblestones in the driveway were ripped up and taken away, along with 7 feet (2.1 m) of earth from under the house. The excavation was filled in, and the site was returned to the Talbott family, who were paid $138,000 in compensation. The Dayton Warehouse was decontaminated in 1950 and returned to its owners. In 1996, the Department of Energy, which had succeeded the Atomic Energy Commission, decided that since the Dayton sites already had been decontaminated, they did not warrant inclusion in the Army Corps of Engineers' Formerly Utilized Sites Remedial Action Program (FUSRAP). However, the local community in Dayton were concerned that the cleanup did not meet 21st century environmental standards. The state of Ohio therefore asked United States Congress to have the Army Corps of Engineers conduct a review. This was carried out in 2004 and 2005. The review concluded that no radioactive contaminants were found that would warrant inclusion in FUSRAP. ↑ Stewart 1948, p. 88. ↑ Stewart 1948, p. 7. ↑ Hochwalt & Haring 1947, p. 2.1. 1 2 Hewlett & Anderson 1962, p. 237. ↑ "George Mahfouz's Interview". Manhattan Project Voices. Retrieved 27 January 2014. ↑ Hoddeson et al. 1993, pp. 119–125. 1 2 DeBrosse, Jim (25 December 2004). "The Dayton Project". Dayton Daily News. p. A1. ↑ Hochwalt & Haring 1947, p. 2.2. ↑ Hochwalt & Haring 1947, p. 3.1. ↑ Hochwalt & Haring 1947, p. 4.6. 1 2 3 4 5 6 Shook, Howard; Williams, Joseph M. (18 September 1983). "Building the Bomb in Oakwood". Dayton Daily News. Retrieved 29 January 2014. ↑ Hochwalt & Haring 1947, pp. 3.2, 4.1–4.2. 1 2 Ohio Environmental Protection Agency. "Southwest Ohio: The Dayton Sites" (PDF). Department of Energy Formerly Utilized Sites Remedial Action Program (FUSRAP). Retrieved 24 February 2014. ↑ Hochwalt & Haring 1947, pp. 4.2–4.4. 1 2 Hochwalt & Haring 1947, pp. 4.2–4.3. ↑ Pearson, Drew (30 July 1955). "1917 Airplane Scandals Should Have Warned Ike". St. Petersburg Times. ↑ "Dayton Warehouse Preliminary Assessment/Site Inspection" (PDF). United States Army Corps of Engineers. September 2005. p. PA-4. Retrieved 27 January 2014. 1 2 Hochwalt & Haring 1947, pp. 5.1–5.2. ↑ Moyer 1956, p. 2. 1 2 Moyer 1956, p. 3. ↑ Hochwalt & Haring 1947, pp. 3.3, 5.1–5,2. ↑ Hochwalt & Haring 1947, p. 5.3–5.4. 1 2 Moyer 1956, pp. 4–5. 1 2 3 Moyer 1956, pp. 5–6. ↑ Hochwalt & Haring 1947, p. 5.7. ↑ Hochwalt & Haring 1947, p. 5.7–5.11. ↑ Hochwalt & Haring 1947, p. 3.3. ↑ Hoddeson et al. 1993, p. 309. 1 2 Michael Walsh (May 2009). "Iowa-Born Soviet Trained". Smithsonian. Washington, D.C.: Smithsonian Institution: 40–47. ↑ "Restricted Data Declassification Decisions, 1946 to the Present (RDD-7)]". Department of Energy Office of Declassification. 1 January 2001. Retrieved 1 February 2014. ↑ Hoddeson et al. 1993, pp. 125–126. ↑ Hoddeson et al. 1993, pp. 316–319. ↑ Coster-Mullen 2012, pp. 48–49, 400–401. ↑ Penney, William (1947). "Penney Report" (PDF). Wikileaks. Retrieved 1 February 2014. ↑ Hochwalt & Haring 1947, p. 4.7. 1 2 3 4 Moyer 1956, p. viii. ↑ Hochwalt & Haring 1947, p. 9.1. ↑ Hochwalt & Haring 1947, pp. 9.1–9.3. 1 2 Gilbert 1969, p. 15. ↑ "Scioto Laboratory". United States Army Corps of Engineers. Retrieved 27 January 2014. ↑ "Dayton I Preliminary Assessment/Site Inspection" (PDF). United States Army Corps of Engineers. September 2004. p. E-1. Retrieved 27 January 2014. ↑ "Preliminary Assessment - Bonebrake Theological Seminary Site - Dayton Unit III - Dayton, Ohio" (PDF). United States Army Corps of Engineers. September 2004. p. 1. Retrieved 27 January 2014. ↑ "Notices" (PDF). US Federal Register. 71 (90): 27274. 10 May 2006. ↑ "Dayton Warehouse Preliminary Assessment/Site Inspection" (PDF). United States Army Corps of Engineers. September 2005. p. E-1. Retrieved 27 January 2014. ↑ "Army Corps of Engineers completes its evaluation of former Manhattan Project Sites" (PDF). United States Army Corps of Engineers. 14 October 2005. Retrieved 27 January 2014. Coster-Mullen, John (2012). Atom Bombs: The Top Secret Inside Story of Little Boy and Fat Man. United States: J. Coster-Mullen. OCLC 298514167. Gilbert, Keith V. (1969). History of the Dayton Project (PDF). Miamisburg, Ohio: Monsanto Research Corporation, Mound Laboratory. Retrieved 31 October 2014. Hewlett, Richard G.; Anderson, Oscar E. (1962). The New World, 1939–1946 (PDF). University Park: Pennsylvania State University Press. ISBN 0-520-07186-7. OCLC 637004643. Retrieved 26 March 2013. Hochwalt, Carrol A.; Haring, M.M. (1947). Historical Report - Dayton Project, Manhattan District History Book VIII, Los Alamos Project (Y), Volume 3, Auxiliary Activities, Chapter 4, Dayton Project (PDF). Retrieved 29 January 2014. Hoddeson, Lillian; Henriksen, Paul W.; Meade, Roger A.; Westfall, Catherine L. (1993). Critical Assembly: A Technical History of Los Alamos During the Oppenheimer Years, 1943–1945. New York: Cambridge University Press. ISBN 0-521-44132-3. OCLC 26764320. Moyer, Harvey V., ed. (July 1956). Polonium. (PDF). Oak Ridge, Tennessee: Atomic Energy Commission. Retrieved 24 January 2014. Stewart, Irvin (1948). Organizing Scientific Research for War: The Administrative History of the Office of Scientific Research and Development. Boston: Little, Brown and Company. OCLC 500138898. Retrieved 1 April 2012. This article is issued from Wikipedia - version of the 11/26/2016. The text is available under the Creative Commons Attribution/Share Alike but additional terms may apply for the media files.